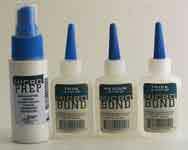 MB-50 MicroBond Thick - Most useful when longer bond time is needed for positioning parts. 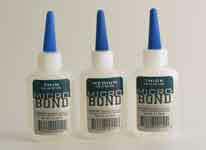 MB-52 MicroBond Thin - For bonding to delrin, celcon, etc. Micro Liquitape - 1 oz.